Recently, a small group of staff have been working together to relaunch PRIDE – our school values – and our classroom behaviour code, Get Set, Go! Over the last few months our school has celebrated success through several House competitions and our first Merits Week of the year. These events have been met with a tremendous response from pupils and staff alike. We have consulted our colleagues about the best use of the Merits system and are currently looking at ways to implement changes which will hopefully lead to Merits being awarded more widely and will impact on our pupils’ sense of achievement. 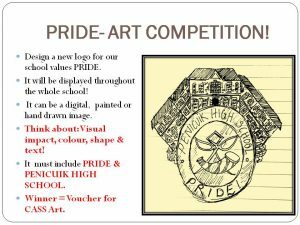 However, that’s not all – our next exciting initiative is a competition we are launching with the Art Department to re-design our PRIDE and Get Set, Go wall displays. 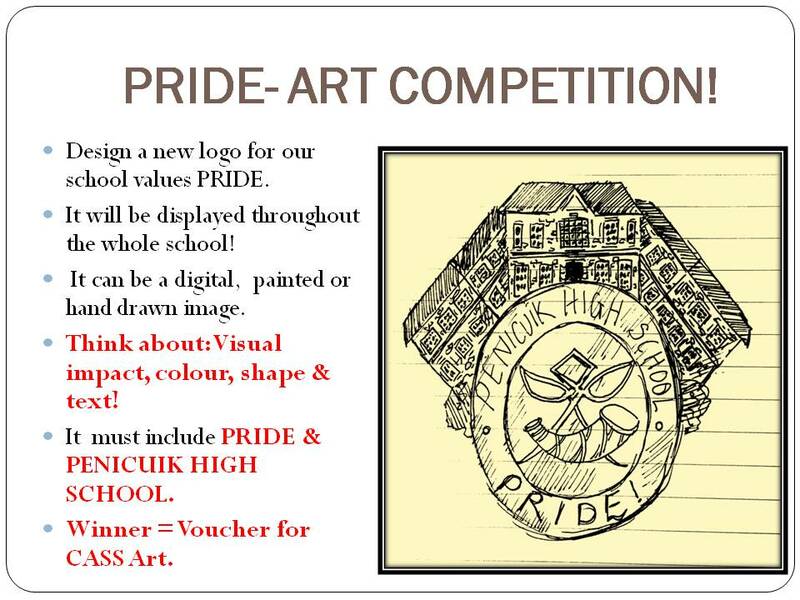 This competition is open to all pupils and we would like you to create an image that encapsulates our wonderful school values. Let’s keep moving forward and highlight how positive behaviour can promote the vision and values of Penicuik High School and add to our great school community! The competition is open until Friday 24th March.